Greece is known as the birthplace of civilization and democracy, not to mention the Olympics. 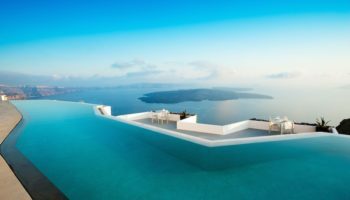 It is a wildly popular travel destination, with several immensely popular places such as Santorini and Athens. While these vacation spots are packed with amazing things to see and do, it’s worth exploring other parts of the country as well. 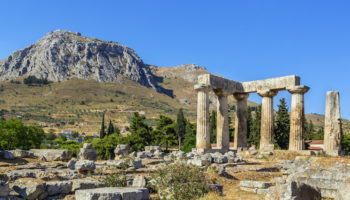 Underrated destinations in Greece can be cheaper and more authentic, so it’s a great idea to get off the beaten path just a little. 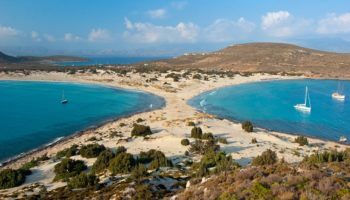 From the small seaside town of Methoni to the traditional island of Patmos, these incredible destinations in Greece are a must-see. In the north, in the region known as Macedonia, you’ll find the port city of Kavala. This is a major port, thanks to its seaside location, and that also makes it accessible by ferry from several nearby Aegean Islands. Kavala is home to a Byzantine fortress, most of which dates back to the 15th century. The Kavala Fortress and Castle offers amazing views, and there are even concerts and other cultural events held there throughout the year. Fascinating Ottoman buildings are scattered through Kavala’s pastel-hued old town while it’s bustling harbour front offers plenty of eateries. Naxos is one of the islands in the Cyclades group. 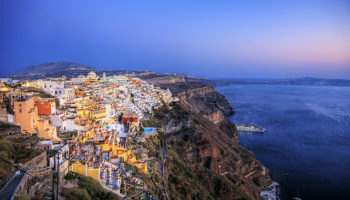 Although it is the largest, it is often overshadowed by Santorini and Mykonos. 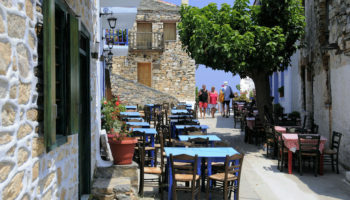 Naxos, however, has a lot to offer visitors. Most of the island is agricultural, but there are towns and historic attractions to explore as well, not to mention magnificent beaches. Tour the Old Walled City called the Castro, or admire the marble gate from the 6th century BC called the Portara. The beach of Agios Prokopios is breathtaking, and it offers a place to swim and unwind in stunning scenery. Patmos is a small island located in the Aegean Sea, and it is known as one of the most religious islands in Greece. It is said that Saint John had his revelation while living on Patmos, and therefore wrote of the apocalypse. Today, many of the island’s landmarks have some connection to religious history or legend. The most popular attraction on Patmos is the Monastery of Saint John the Theologian, which was constructed in the 11th century. You can also visit the Cave of the Apocalypse, which is built right into the side of the mountain between the two main towns of Skala and Chora. Skála is also the town where you’ll find accommodation and fresh-fish tavernas among buildings used by the Italians during the Italian Rule of the Dodecanese Islands. On the southern tip of the Peloponnese, you’ll come across the village of Methoni. 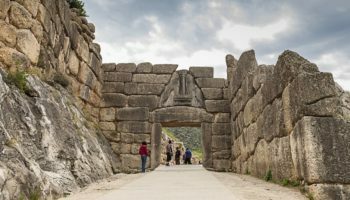 This small town was one of the seven cities offered to Achilles by Agamemnon. For those willing to venture off the beaten path, there is lots to do, see and explore. Be sure to start with the ruins of the fortress and castle, called Kastro, that shows off a wonderful example of Venetian architecture from the 15th century. Just a short walk from the castle is a great beach for swimming, and there are lots of taverns nearby where you can fill up on delicious cuisine at the end of the day. Chios is one of the North Aegean Islands, and it is located just four miles off the coast of Turkey. 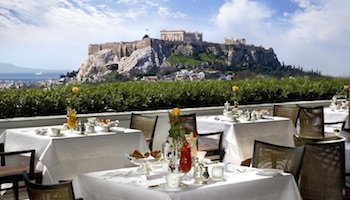 Famed for its olives, figs and wine, the island is also a major destination for foodies. 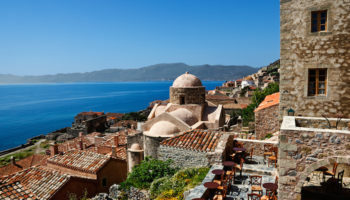 Nea Moni of Chios, an 11th century monastery, is a must-see attraction. The interior is beautifully decorated, and its mosaics are considered to be the ultimate examples of Macedonian Renaissance art. Chios is also a popular spot for day trips to Turkey, which can be easily arranged via the local ferry service. Head to the town of Mesta for souvenir shopping and dining at fantastic restaurants. The Pelion Peninsula in central Greece stretches between the Aegean Sea and the Pagasetic Gulf, and it is a place of incredible beauty that often gets overlooked by travelers. The gulf itself boasts warm water perfect for swimming while a ski resort on Mount Pelion offers endless winter adventure. You can hike through mountain trails in the morning and sip a cocktail on the beach at sunset while on the Pelion Peninsula. While there are resort towns on the water, there are also smaller mountain villages like Makrinitsa and Portaria where you feel like you’re stepping back in time and seeing a truly authentic version of Greece. he most traditional villages of Pelion, with grey stone roofs, elegant houses and paved paths. Symi is a small island that is part of the Dodecanese group in the Aegean Sea. 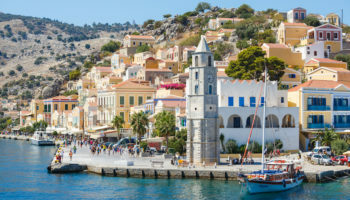 In centuries past, Symi was the heart of the sponge trade, and you’ll still see plenty of sea sponges for sale in local souvenir shops. Today, however, Symi is a wonderful travel destination for those who want history as well as modern amenities. Be sure to check out the harbor, which is still largely the heart of the island. You can also drive or take a taxi to Panormitis, a monastery located in the south of Symi. One of the most popular pastimes on Symi is coastal walking, and there are miles of easy-to-navigate trails throughout the island. One of the most underrated destinations in Greece is the city of Kastoria. It is located on a promontory stretching over the beautiful Lake Orestiada, and it is surrounded by gorgeous limestone mountains. There’s also amazing cuisine, impressive nightlife and plenty of historic Byzantine churches. Despite all of that, it is rarely visited by international travelers. Head to Kastoria and head underground to the remarkable Cave of the Dragon, or learn about the city’s history and culture at the Byzantine Museum of Kastoria. Don’t leave until you’ve dined at an outdoor cafe with a view of the lake and sipped tsipouro, a local version of ouzo. 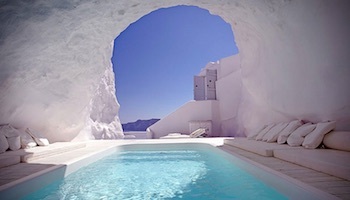 Folegandros, also known as Pholegandros, is one of the small islands found in the Cyclades chain. The landscape on the island is varied, and includes tall cliffs and a large cave. The capital of the island is built on the edge of a 200 meter (650 feet) high cliff. The biggest reason to visit Folegandros is to enjoy some of the best beaches in Greece, many of which will be secluded or at least not very busy. You can hike around Katergo Beach, and you’ll be stunned by the crystal clear water of Galifos Beach. Angali Beach is the most popular on the island, and it can get busy during the summer months. Tavernas are steps away from Angali Beach, which means that you can enjoy amazing seafood and local wine with a view of the water. The Greek Ionian Islands are among the best loved of Greece’s 6,000 islands. 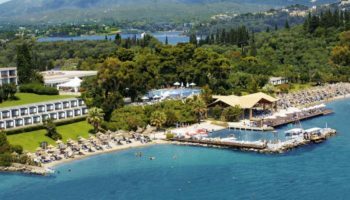 Kefalonia belongs to this group, but it is not as well known as other Ionian Islands like Corfu. Kefalonia is just as beautiful, and boasts breathtaking scenery, but it is a lot less developed and less crowded. On Kefalonia, you can head to the brilliant Drogarati Caves, or you could join a boat tour and admire the island’s four peninsulas from the water. The famous Myrtos Beach, on the island’s west coast, has been repeatedly voted one of the best beaches of the world. Sami Beach is also popular, and it is easy to see why. A white pebble beach, bright blue water and lush green mountains framing the view makes it a truly spectacular spot. 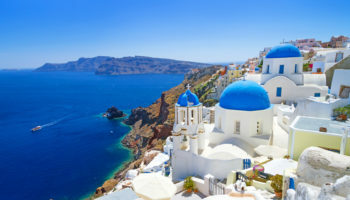 Greece is indeed a really popular destination place to visit. And I think you have really given a good list of more places to visit there. I had only visited Kastoria there as I went there for few days for some work. Will definitely love to explore other places too! Thank you! kefalonia is one of the best Islands. Very friendly , laid back, peaceful. Not a tourist trap.